For every frog prince, there is an Aaron Basha frog princess. 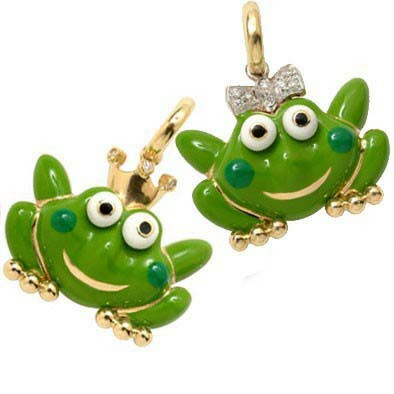 This lovely princess is crafted in 18kt yellow gold and finished with a bright green enamel. Making her feminine statement, this adorable critter sports a fabulous diamond bow atop her head. 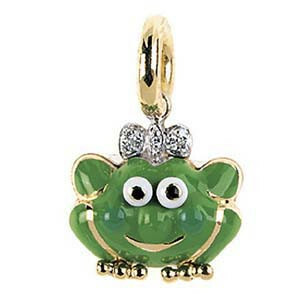 Let this magical Aaron Basha charm be the delight of your personal collection!